Stone Soup for Five: Want to talk about prayer journals? Join us THIS MORNING! Want to talk about prayer journals? Join us THIS MORNING! 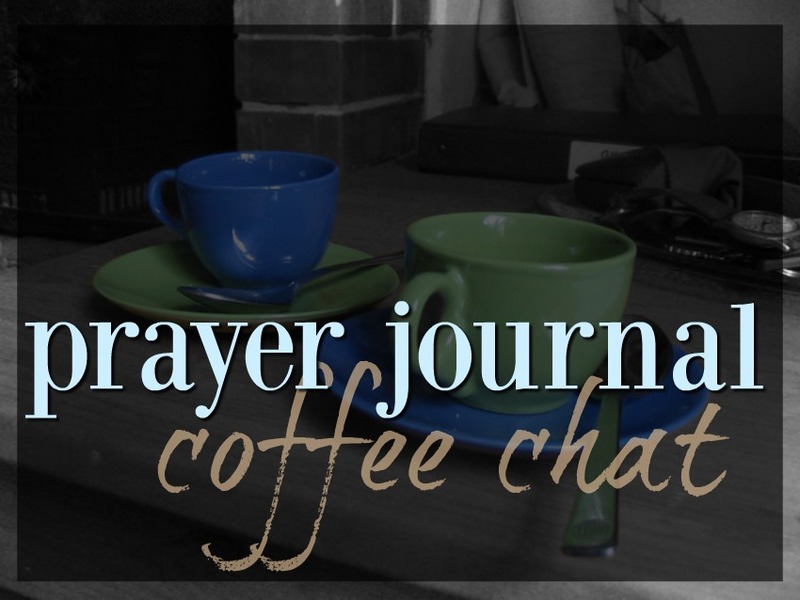 As you guys are waking up, hop on over to Google and join us for a coffee and prayer journals! My sister-in-law and I will be discussing our personal prayer journals, how they have revolutionized our prayer time, and different styles we've used and are using. We'll be over on Google Hangouts where you can watch and ask questions. Click on over at 8am PST and bring your coffee or tea! We'll record the replay on YouTube and have links to the items we talk about for you as soon as possible after the show. Thank you for including us in your morning chat with your sister-in-law. I caught the replay this afternoon. I am looking forward to watching again and getting my prayer bullet journal set up and being consistent in my prayer life. Great job Kari and Michelle! Can you post a list of Michelle's favorite devotionals? Or is it posted and I missed it. I agree that having a list to pray for and about helps make my time more efficient and smoother. Great encouragement and motivating. Thanks! I was able to see most of your coffee chat but missed the end, so thank you for making it available online. What a great resource for our prayer binders! Thanks to you and Michelle for taking the time to do it. Wow, so glad I came across this blog. I need to strengthen my prayer life. Just came across you videos and blog and it was no coincidence. I really want to be more disciplined in ny prayer time and Bible reading. I often get so caught up in the process of how and get bound by my perfectionism, that the execution of the actual task of praying/reading never comes. Your coffee talk video was just what I needed. I think the bullet journal type prayer journal is what I have been looking for to free me from perfectionism. I do have a few questions...where do prayer requests for church family members go that you get from small group Bible study or weekly prayer meetings? For ex...a sick church member or a members pending surgery, or a concern a church member expressed for their family member. Of we course we pray at the time it is mentioned...but I often get bogged down feeling like I need to continue to pray for these needs...is this just my perfectionism creeping in again? But if I want to continue to pray for a specific need, what section does that go under? What about missionairies I have committed to pray for -- If I want to prayer more frequently than monthly for them, where does that fit in? If I want to pray for my pastor more frequently how/where do I add that? I agreed to be on the prayer team for my sons school -- the headmaster sends out prayer needs for the school once a month. Where can I add this?